Ya can’t trust those guy. Sigh. Sarah from Vespertine House made it! I love it, too!! 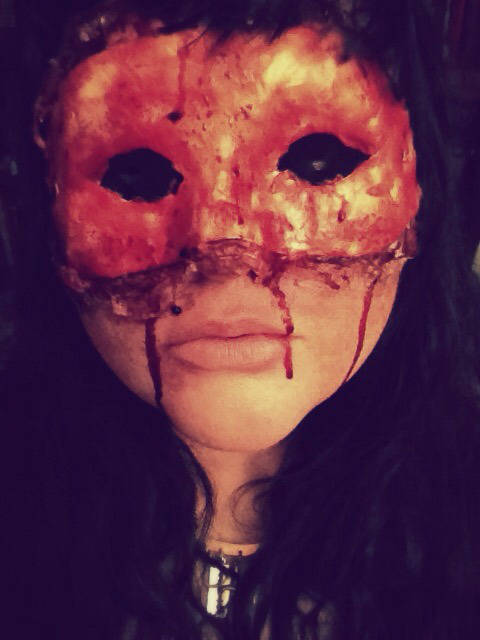 You should check out her blog; she has many other masks for Halloween. Do you celebrate Halloween in Juliaca? I’m glad you visited Sarah’s blog! We do celebrate! We love giving out candies, and our 4 year old niece will be celebrating with us, as well. I decorate the whole house and have a party the weekend before the big day! I’m thinking of dressing as an owl and may post my costume on my blog. Do you celebrate, as well? Actually I don’t celebrate not even my birthday, I don’t believe much in anything, but perhaps is more because people here loves beer and I dislike it since kid >___< (I prefer wine)… But I try to be polite so I buy some candies if some kids know the door. An owl sounds fantastic! Beautifully horrific! The blood adds a lovely touch and I bet it tastes like candy. Go ahead. Tell me I’m wrong. What about bloody Pop-Tarts? That’s my favorite flavor! Yum; bloody Pop Tarts. There’s also this special flavor for Halloween! Is it pumpkin spice? I can’t stand that flavor. I don’t see any image — sorry! 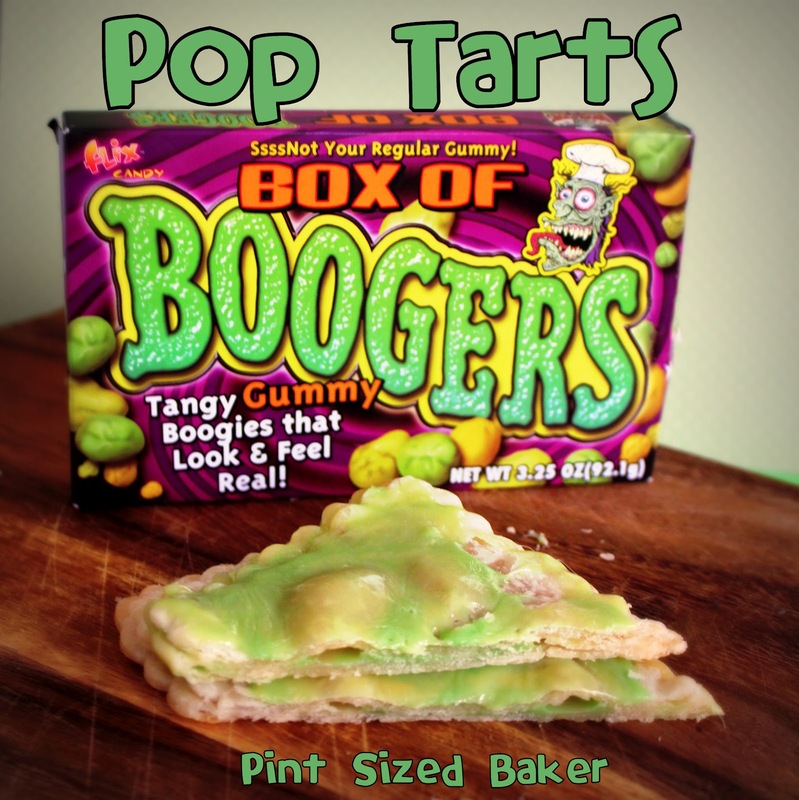 Booger flavor? Ehhh….I’m not impressed. Why not ghost vomit? Vampiric gastric goo? 1,000 year old zombie fingers? Or specter spit (my personal favorite). Haha! It’s lovely, but I tell you what — if you keep writing your dark poetry and stories so beautifully, you needn’t buy me a ring! 😘 But keep saving your money for lots and lots of pens so you never run out of them! Lol. I love the poem. (Whispering) I’m a bit scared of the mask, though. Please don’t tell Sarah. Oh, in that case I’ll stop whispering.